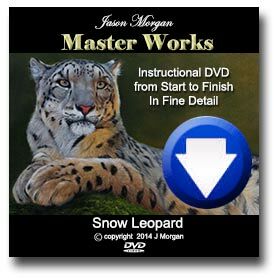 Want to Learn to Oil Paint? 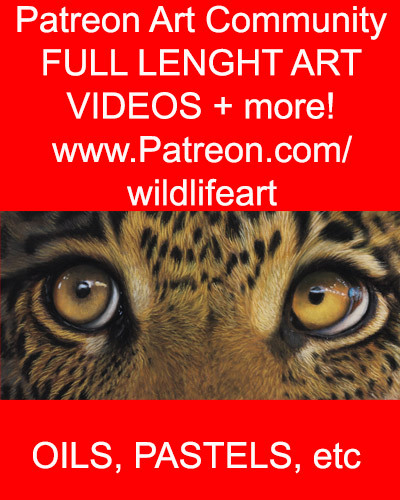 Well… most of you know that I have sold my Learrn to Paint Wildlife in Oils Ebook / CD for a few years now – and due to it’s success and the fact that I love to teach, I’m going to do a whole new series of e-books, but here’s the crunch! The light in this piece is really what will make the painting, it’s so dramatic and that is what I concentrated on in the stage below. Now I’m starting to work on some basic details and will continue to add them to the left side of the canvas before working over the whole painting again.